My 3yr old Peter and 2year old Buscuit have successfully breed fir the first time! Five healthy and beautiful crumbs! 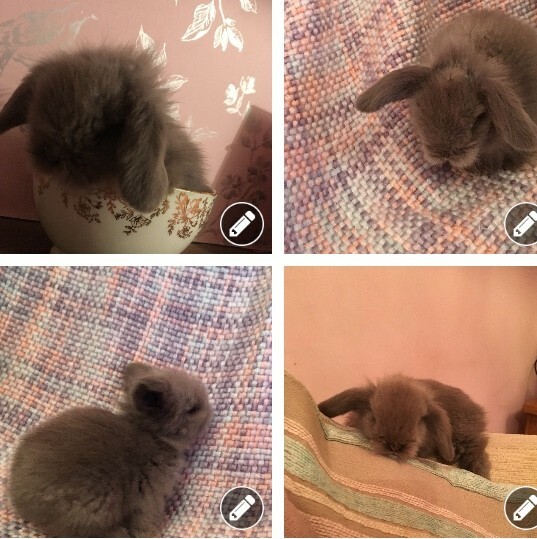 Both parents can be seen, All bunnies are litter trained, they are suitable as both indoor or outdoor pets, mine are literally part of the family, the more time and live you give them the more they will respond and recognise you.